I will return to Turin. When I was planning my week in Milan I came across a listicle of the top places to hear opera in Italy. 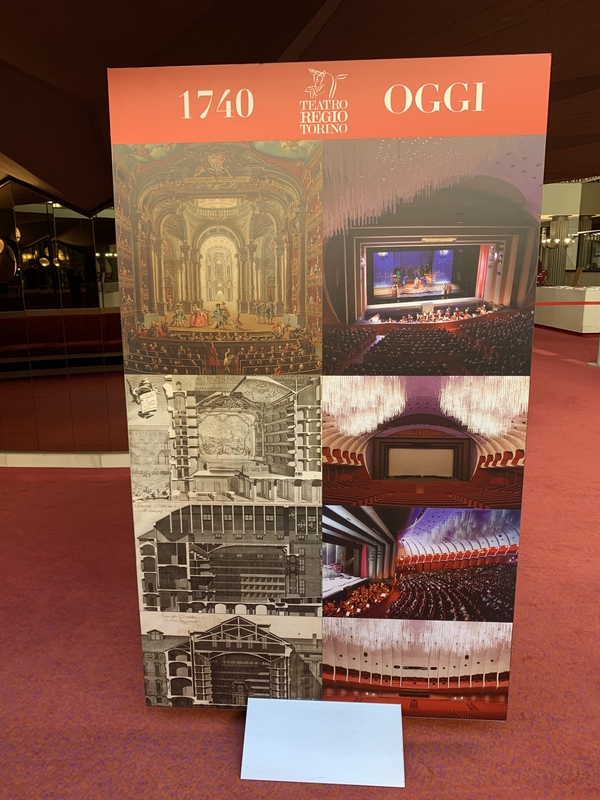 On the list, along with the old ornate palaces of opera in Venice (La Fenice), Milan (La Scala), Naples (San Carlo), and Palermo (Teatro Massimo), was the very modern Teatro Regio in Turin. 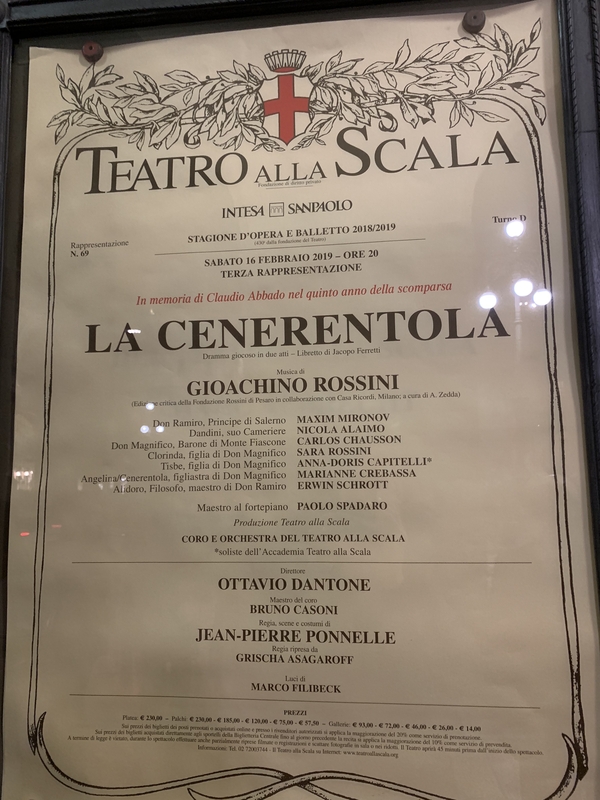 Since there was only one opera playing in Milan while I was there I was looking for other opportunities to hear opera and Turin just happens to be about an hour from Milan by train. So naturally I booked a ticket to hear Rigoletto there. The fact that Turin is a lovely city with an alpine backdrop was icing on the cake. (Speaking of cake, I just had a big piece of sheet cake and vanilla ice cream for breakfast.) 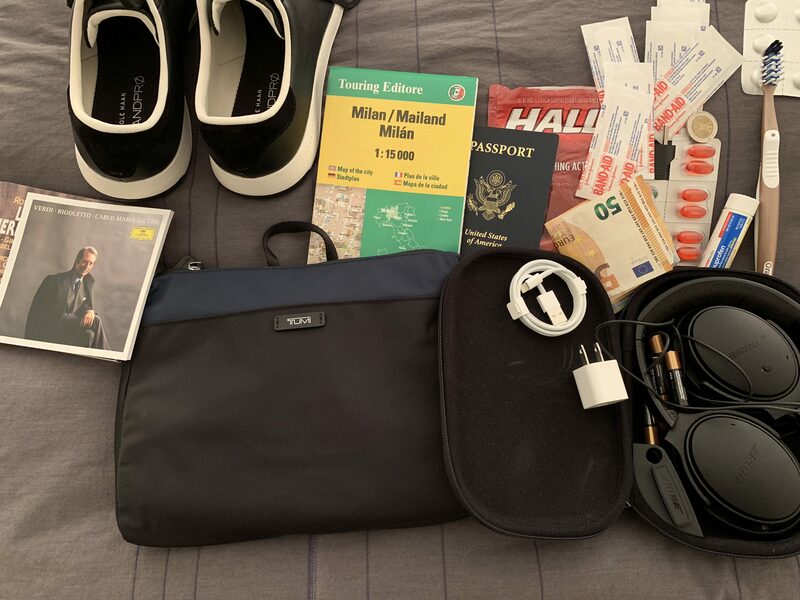 There was also something quite fun about leaving my apartment in Milan, having lunch with an Italian near the train station, then getting on the train for an overnight stay in Turin with nothing in my bag but a book, a change of underwear and socks, and a toothbrush. It felt very cosmopolitan. It was nearly impossible to get a good shot of the mountains from the train. 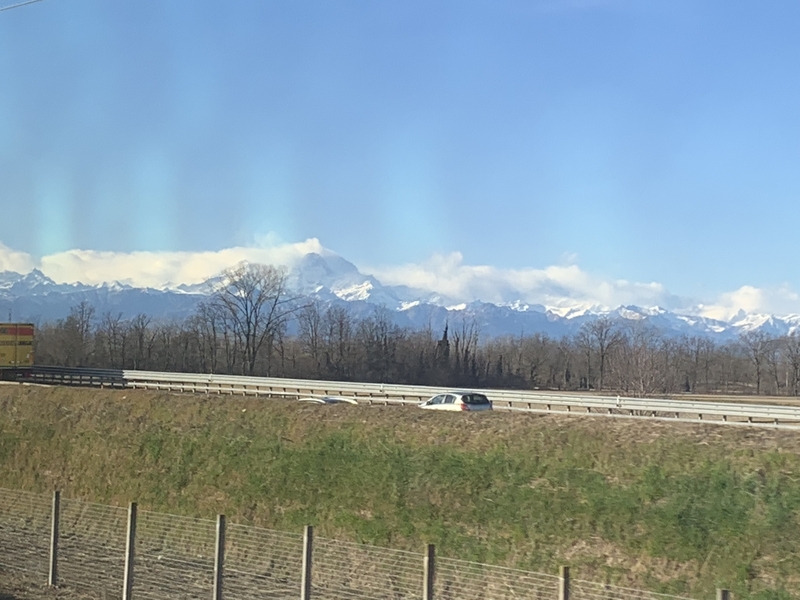 Although this photo was snapped closer to Torino, I was surprised how quickly the mountains become visible on the way out of Milan. 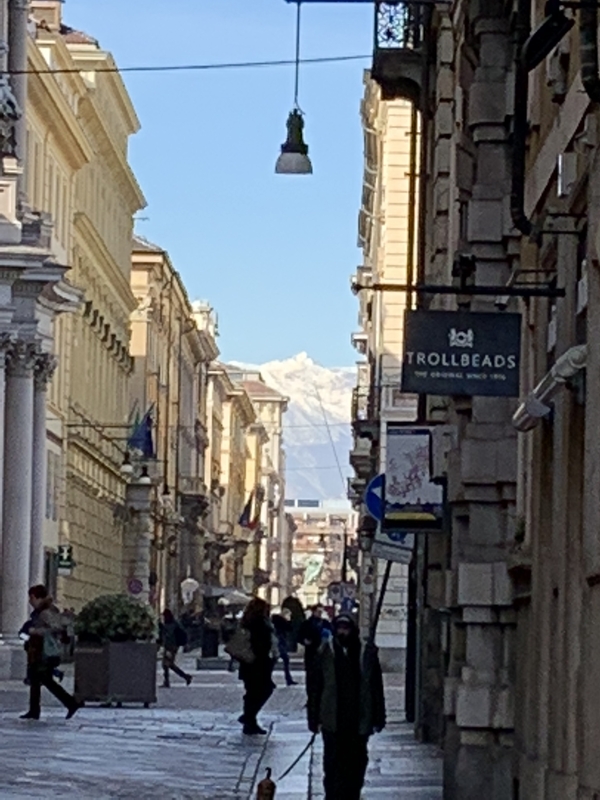 Not the best picture, but I loved seeing the mountains at the end of the street in Turin. 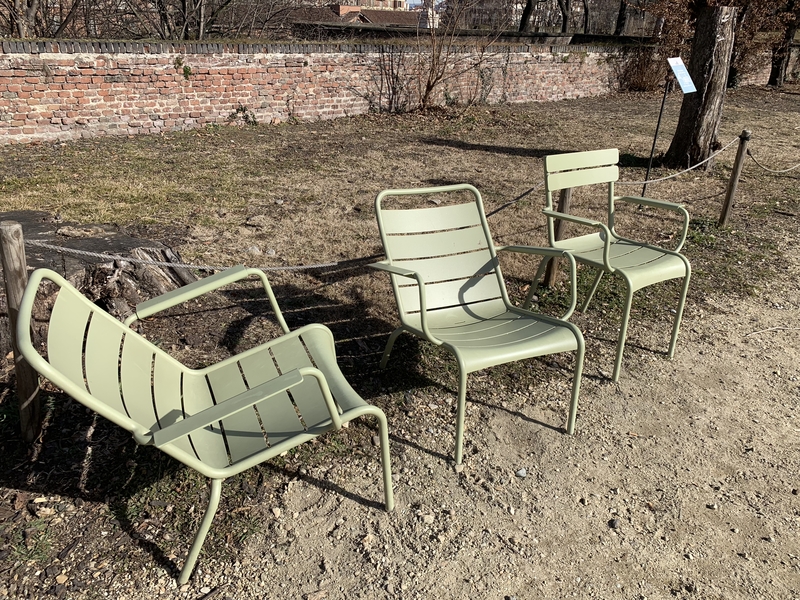 Turin definitely felt more Italian than Milan. 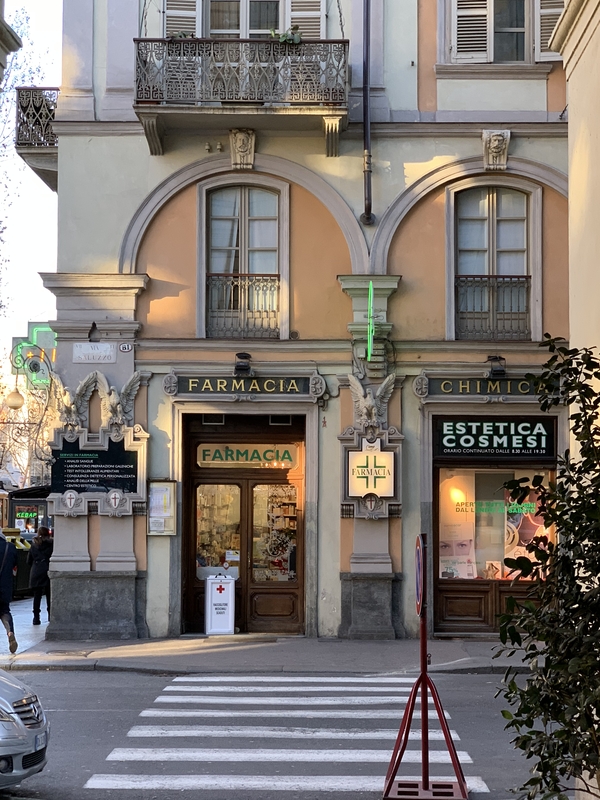 I loved the vintage look of this pharmacy. 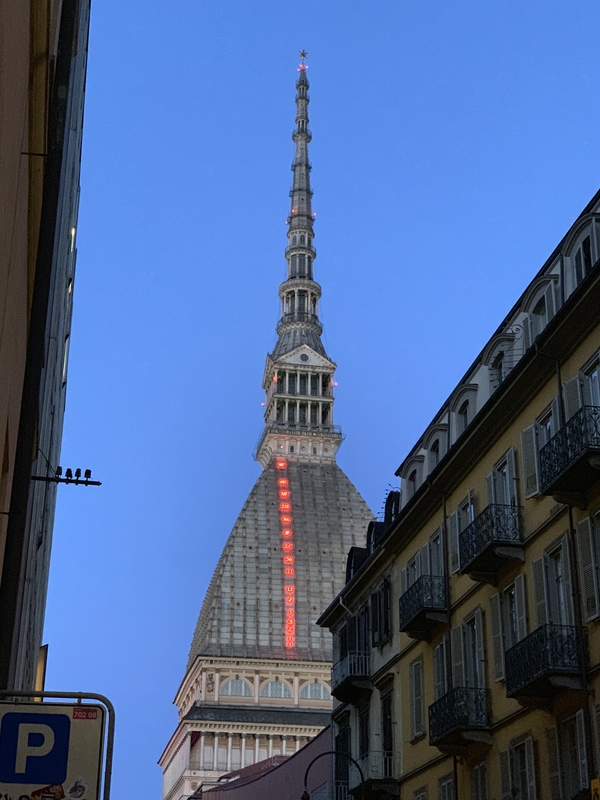 I love the cupola just above the dome and below the spire on the the Mole Antonelliana tower. The sky was an amazing color at dusk. This sandwich may not look all that impressive, but given my sore tummy I hadn’t eat much in the previous 24-hours and I was hungry. The bread was the perfect combo of squishy and fluffy and chewy. 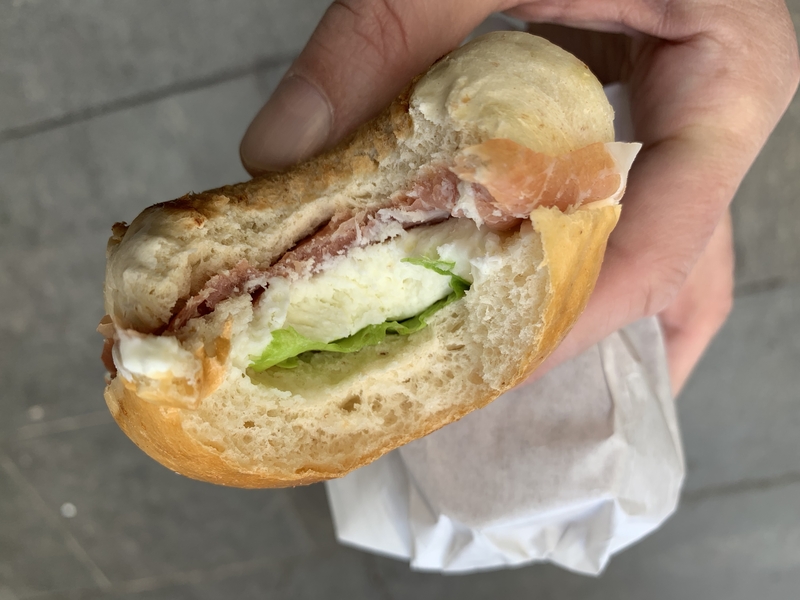 The fresh mozzarella and prosciutto were delicious but bland enough to not cause further gastro distress. I was told the region didn’t have much in the way of marble, so in the old days they primarily used brick and terracotta. 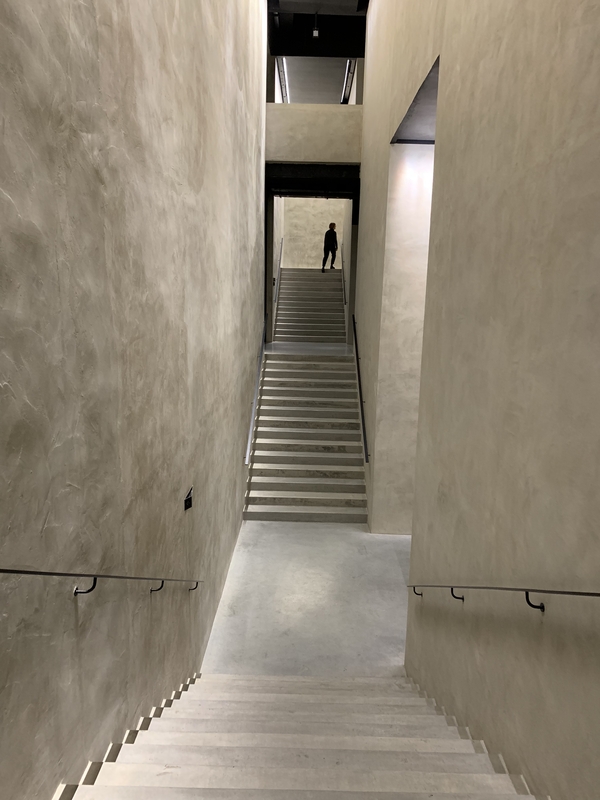 I was amazed what they did with it in this building. 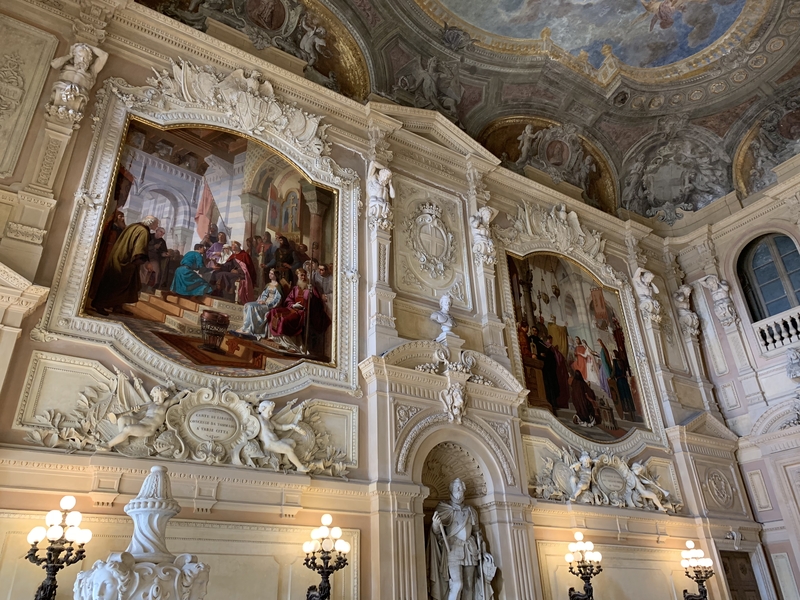 Inside the Palazzo Reale. 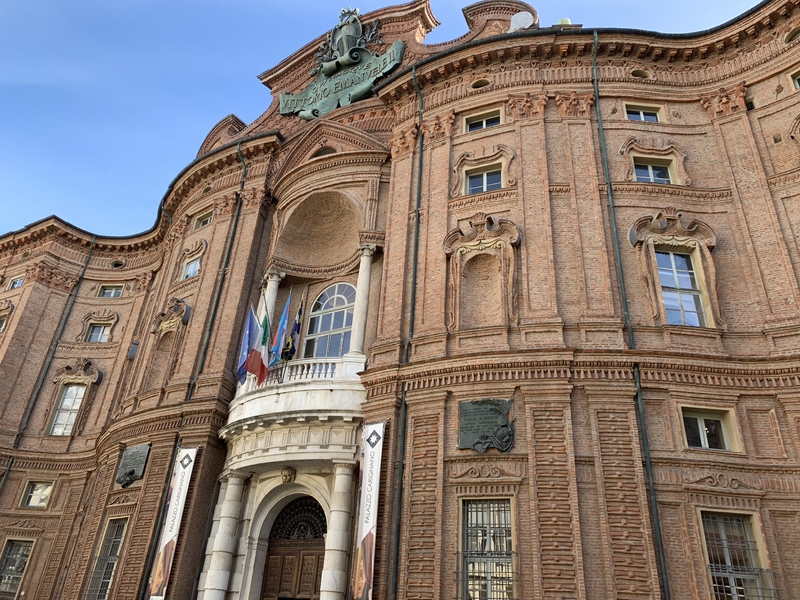 If you have ever wanted a palace to yourself, go to Turin in February. 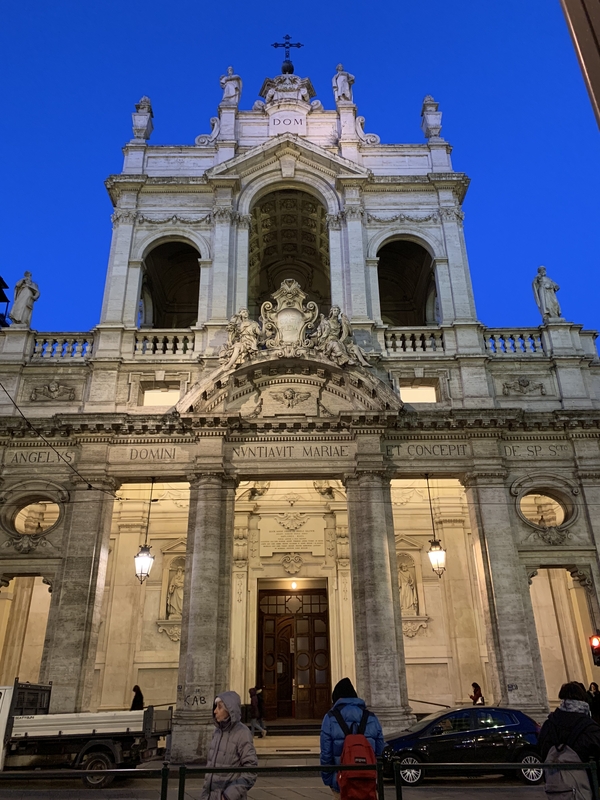 Built in 1694 to house the Shroud of Turin, this chapel caught fire in 1997 and it took 30 million euros and 21 years for its restoration. I’m glad they made the effort. There was a little nip in the air, but sitting outside the palace in the sun was a very pleasant way to pass the time. The very modern Teatro Regio. Sightlines were great, the sound was great, the singing was great. Highly recommend. Until this month I had never made it to what is perhaps the world’s most famous opera house, La Scala in Milan. 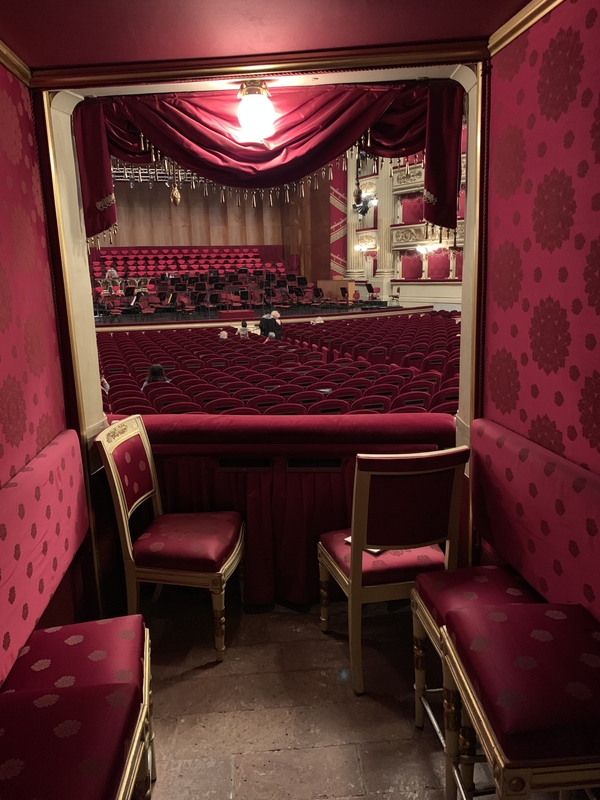 Since I wanted to spend at least a week in Italy in 2019 trying to improve my Italian, it seemed kind of natural that I combine that with finally hearing an opera or two at La Scala. 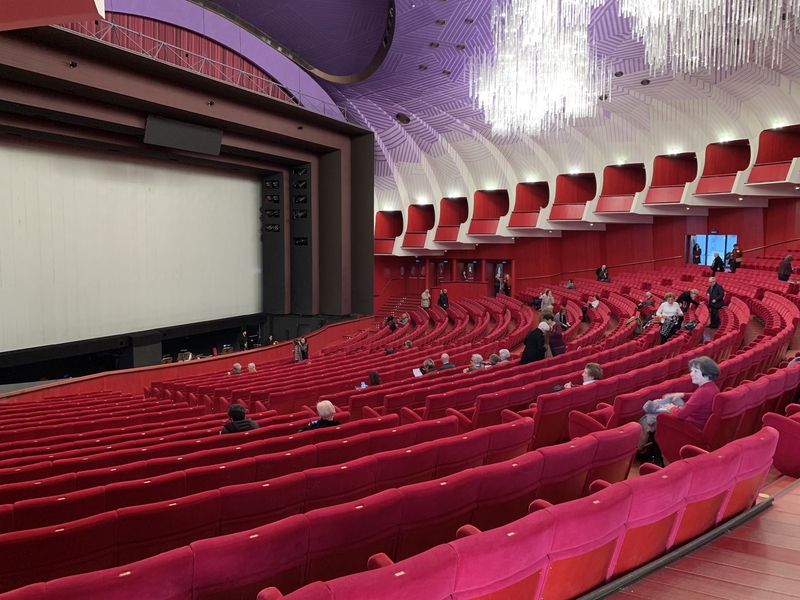 Unfortunately La Scala’s schedule is not like the Met’s or some other opera houses where you can see two or more operas in the span of one week. The best I was able to cobble together was an opera on one night and a concert by the La Scala Orchestra and Chorus on another night. 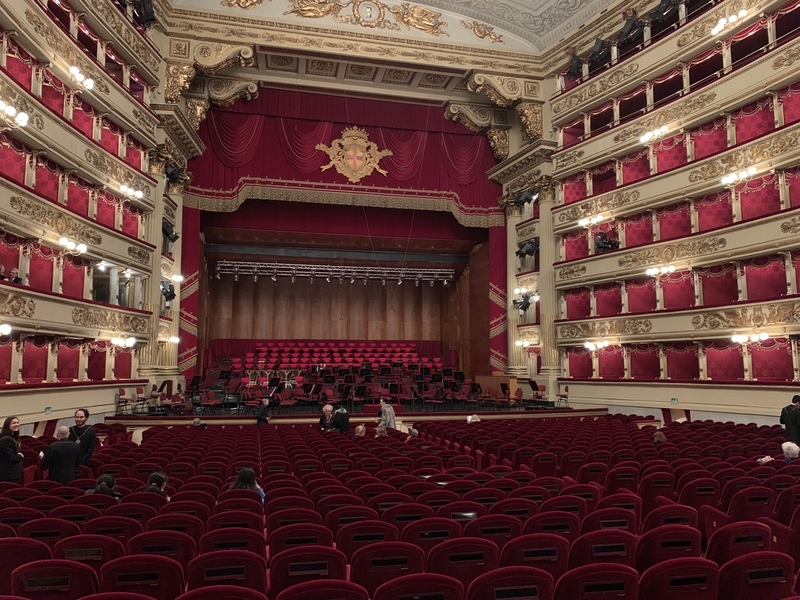 Prior to seeing anything at La Scala I saw a performance of Rigoletto at the Teatro Regio in Turin. I will write about that more in the future, but suffice it to say that it was a well-sung, well-played production in a comfortable theater with good sight lines and good acoustics. 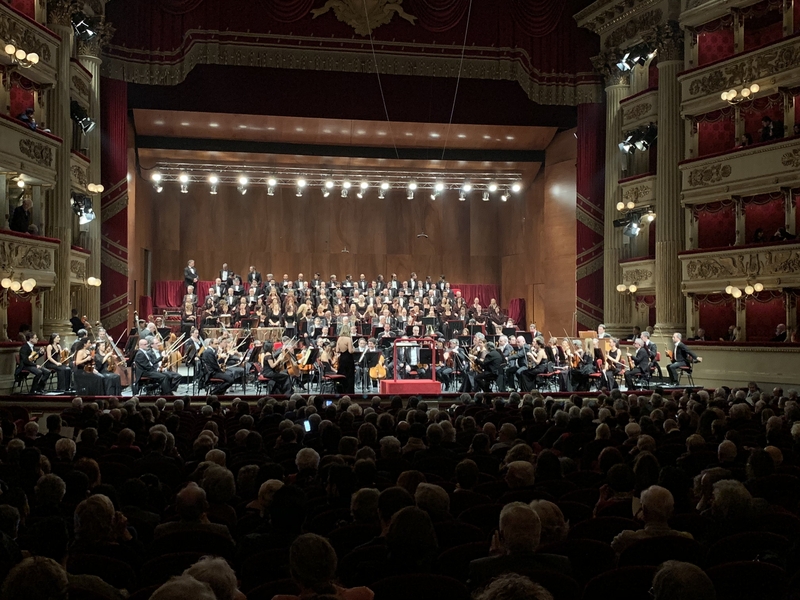 That experience, in addition to La Scala’s reputation, had me expecting so much more than what I encountered at the venerable opera house in Milan. 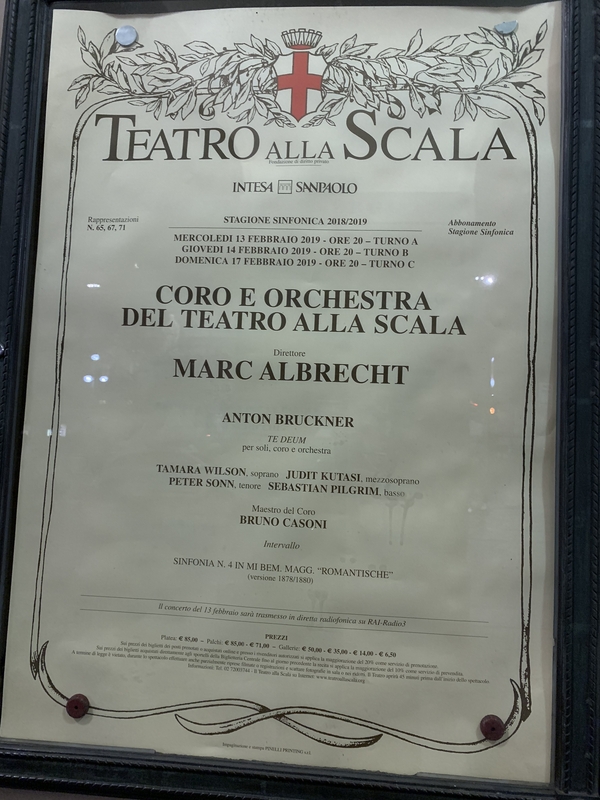 My first performance at La Scala was an all Bruckner program that was supposed to have been under the baton of Christoph von Dohnányi. Since the elaborate program booklet had Marc Albrecht’s name in it, I assume it was not a last minute change. Thinking I was in for some world-class music making I was more than a little excited for Bruckner’s Te Deum and his Symphony No. 4. Working backwards, let me just say the orchestra was woefully inadequate in the symphony. They seemed sloppy and under powered. In the Te Deum that opened the concert I didn’t really notice the orchestra too much because I was focused on the chorus. Thinking back to a performance of The Dream of Gerontius I saw by the Munich State Opera back in 2002, I was particularly excited to hear a high octane opera chorus singing a concert/liturgical piece. And the opening bars did not disappoint–a big, muscular, over-the-top, wall of choral sound. But after the initial thrill, it was clear the chorus was really just phoning it in. They seemed like a group of soloists who were underprepared and clumsy. Why bother putting on a concert like this (that is, outside of opera) if you aren’t going to make an effort? And then the soloists came in. Some were better than others, but the most distinctive quality of their sound was that they sounded like they were using microphones. I couldn’t really see speakers and couldn’t figure out why or how that could be, but their sound was very different than my ears expected. The sound of the orchestra and chorus was what one would expect–that is, the sound filled the room and it seemed to be coming from the stage. But the vocal soloists sounded like they were in the box with me at the back of the auditorium. This was particularly strange given that they were positioned on stage behind the orchestra right in front of the chorus. Rather than sounding like they were singing with or on top of the orchestra and chorus, it was as if one channel on the stereo was turned way up. Not being an acoustical expert, it is hard for me to describe, but their sound was too present. It didn’t feel of the room. It’s like they were being directly wired into my ear. You can get a sense of my location. Pretty close to center, in the lowest level of boxes. Thankfully that chair facing forward was mine. Sitting on one of those back stools must like watching TV, but in an uncomfortable seat. Flash forward three nights later to the performance of La Cenerentola. The orchestra, back down in the pit, seemed much more comfortable playing Rossini and they sounded worthy of the house. But then, as in the Bruckner Te Deum, the soloists sounded like they were using microphones. Their sound was so shockingly present in my ear that I was dying for a pair of binoculars to see if I could see the body mics on the singers. But I was also confused because I couldn’t see any sort of speakers anywhere. Where was that sound coming from? And then I began to notice that it didn’t seem to happen all the time. It appeared that, rather than wearing microphones, they were standing in, or passing through, an acoustical hot spot on the stage. One that brought the sound right to my seat without really passing through the atmosphere. As I thought about it, the area on the stage that seemed to be prone to this effect was about the same area where the soloists had stood for the Bruckner. To be clear, both nights I sat in the front row of a box at the back of the auditorium just one level above the main floor. For the Bruckner I was just left of center, and for the Rossini I was right of center about three boxes closer to the stage along the side of the horseshoe. In both seats I experienced the same weird sound. Does it sound that way everywhere in the auditorium. Do other people think it sounds weird? 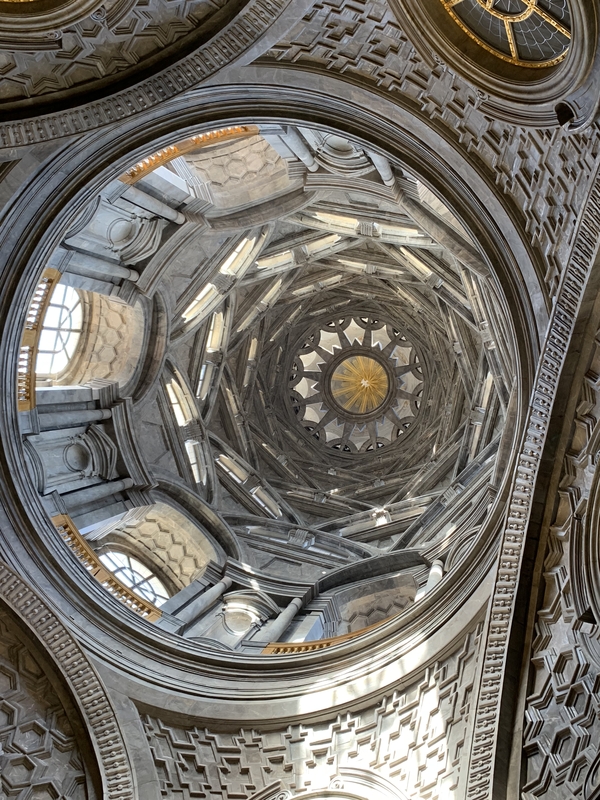 When people talk about the great acoustics at La Scala are they talking about this rotunda effect like in the Whispering Gallery at St. Paul’s in London which I found so off putting? My vantage point for La Cenerentola. Being more on the side than on my previous visit was much more comfortable. Rather than sitting with the seat facing forward and my knees knocking the wall, I was sitting sideways with a nice plush arm rest on my left. Tip, if you are getting a seat in one of these boxes, seat number 1 seems to be universally the best seat. I admit I am no expert on acoustics but I have been in many, many opera houses* and have never experienced anything like this. What’s up? Am I crazy? No matter how you slice it, I really don’t feel like I need to ever go back to La Scala. Come to think of it, even with unlimited time and resources I don’t think I would ever choose to go there again. 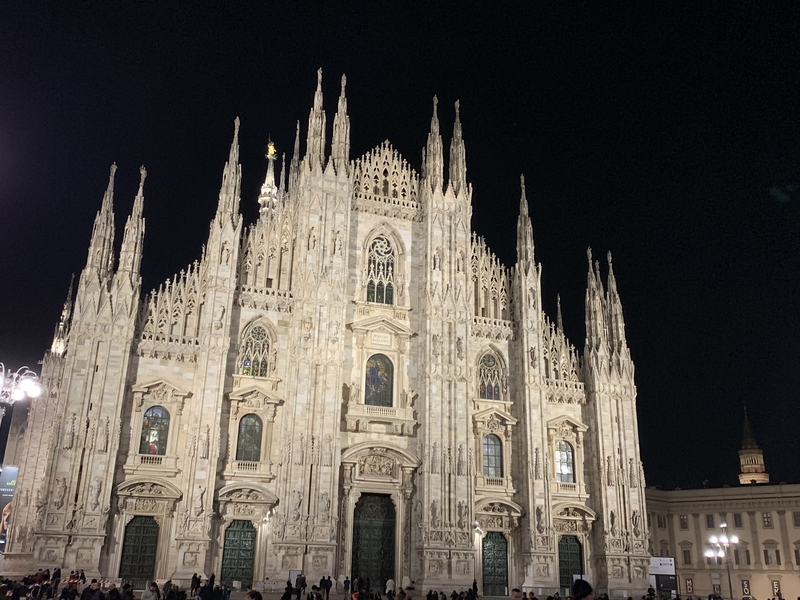 I spent a week in Milan to try and improve my Italian language skills and to hear an opera or two. Allow me to dissect the photo: Libretti for Rigoletto and La Cenerentola; a collapsible tote bag that I planned to (and did) use to bring home new shoes; I didn’t have a cold but since I had tickets to four different performances, I didn’t want to be caught off guard without medicine and throat lozenges, I never want to be Mr. Coughy; I took two pair of shoes that were both new and was worried I might get blisters, but I didn’t need to use any of the Band-Aids. 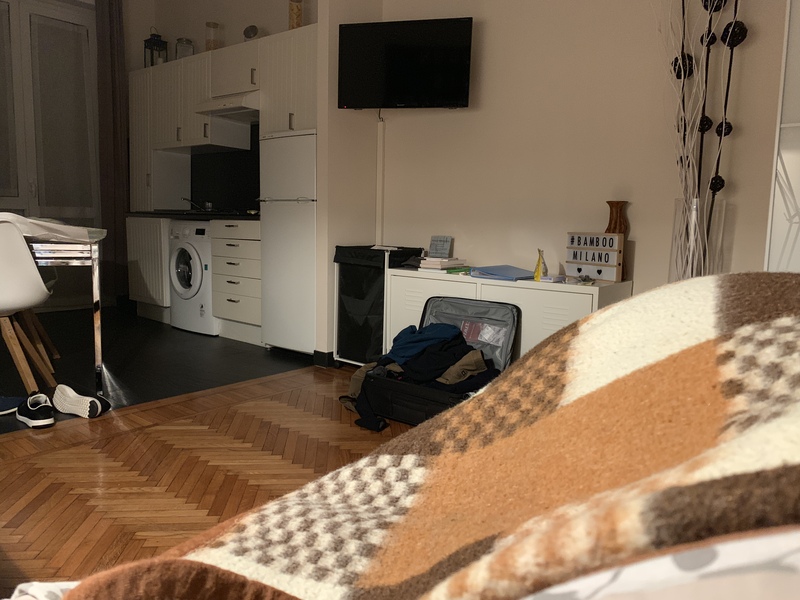 I rented an apartment in the Ticinese neighborhood. It was cheap, nice, and was in a great location. I like to pretend I live in a place I am visiting, so having an apartment to call home was great. It had windows on both sides so it was nice and bright and sunny. Unfortunately I didn’t get any good pictures of the place because when I arrived I wasn’t feeling so good. I arrived in Milan from the U.S. (via Dublin) at about 11:00 in the morning and I wasn’t feeling so good. I had a low grade, but persistent pain right below my rib cage. 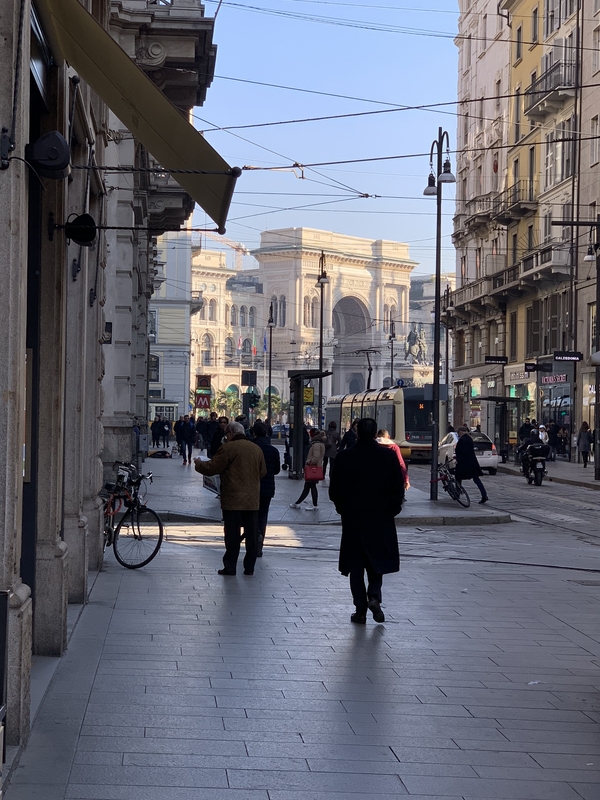 Thankfully I had recently had a full exam with my cardiologist so I wasn’t worried about heart trouble, but as I stumbled around Milan waiting for my apartment to be available, exhausted from an overnight flight, with this gut ache, I did kind of wish I was back home in my bed. When I did get into my apartment just after 3:00, I pretty much crawled right into bed. I ended up taking a six-hour nap, woke up for about two hours and then slept from 11:00 pm to 11:00 am. Eighteen hours of sleep in a 24-hour period. This is unheard of for me. Even when I can sleep in, I rarely can get more than 7 hours of sleep at a time. And when I woke up my gut ache was worse. 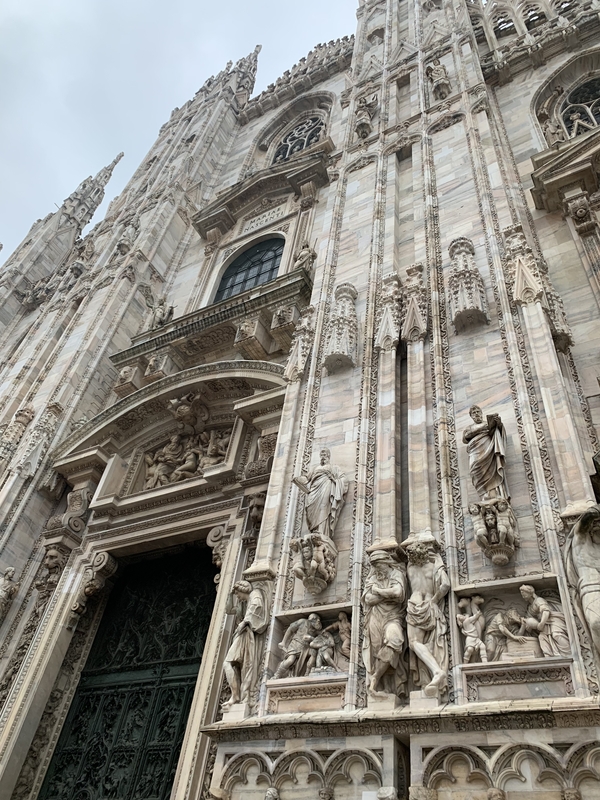 I had a private tour of the Duomo booked that afternoon and after that a dinner party with a bunch of Italians I had never met before. When I got back to my apartment that night and talked to John on the phone he suggested I try the equivalent of Prevacid. Thankfully there was a pharmacy not too far from my apartment that was open until 1:00 am–and on a Sunday no less. 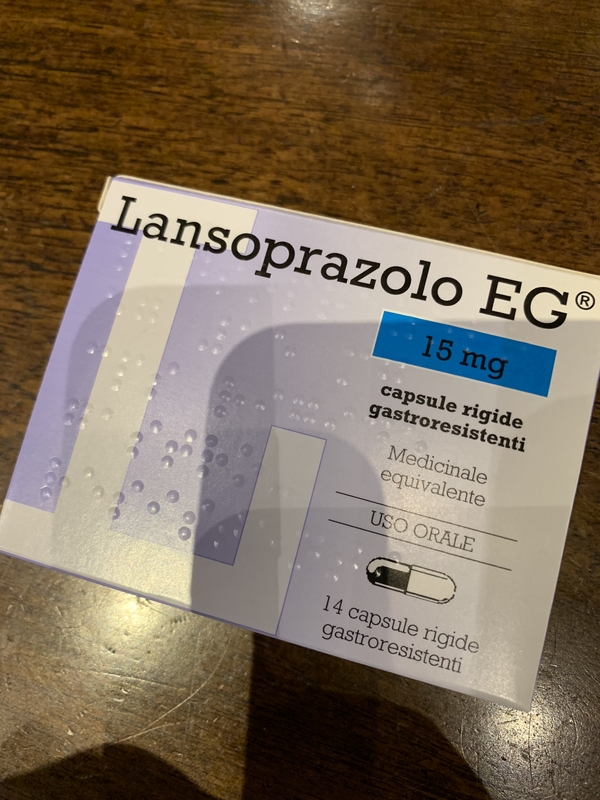 Although each day I felt a bit better than the previous day, it took about four days for the Lansoprazolo to really kick in. And it wasn’t until a good five days into my trip before I started to feel normal. This meant that I ate much, much less than I would have normally. I ended up actually loosing two pounds on the trip. 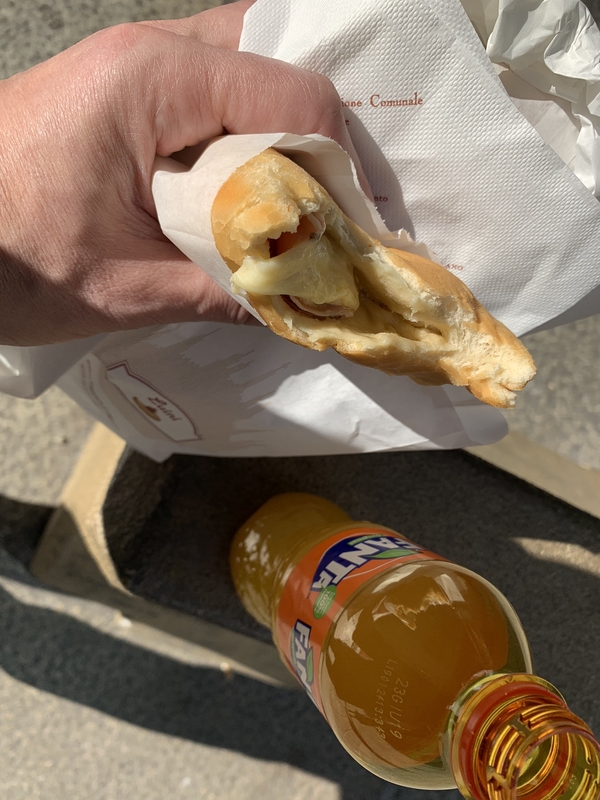 When I still was only half better I had panzerotti which are kind of like a cross between a donut and squishy bread and a calzone and filled with cheese and prosciutto. It was so, so, good. I avoided red sauce, but I couldn’t avoid pasta. At least I didn’t want to avoid pasta. 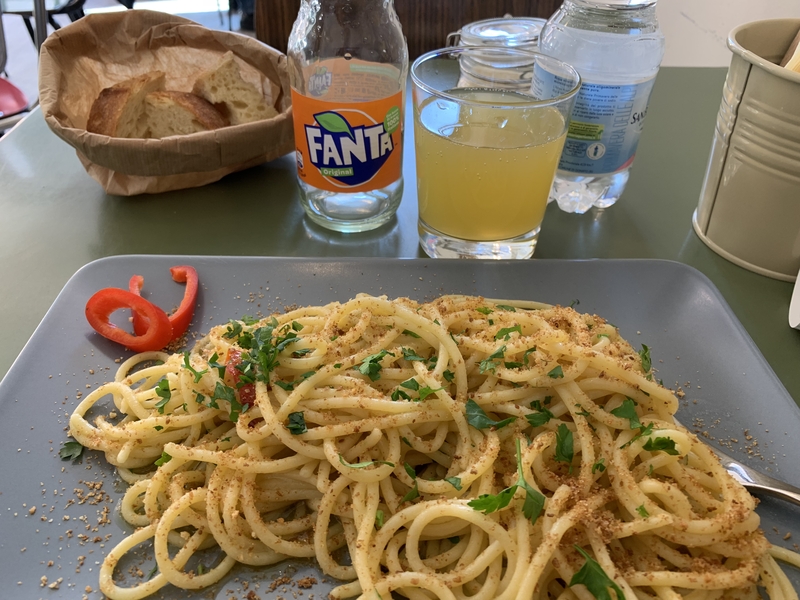 And European Fanta is so much better than U.S. Fanta. I did see the sights and I had about 10-hours of private tours given mainly in Italian, but more on that later. And I did some some shopping. 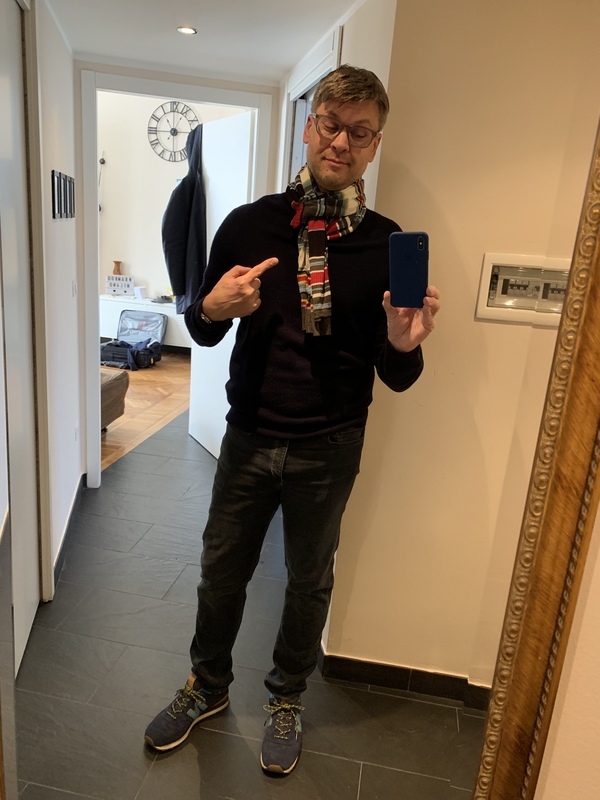 Two pair of shoes, and a Missoni scarf I decided to wear when I went to the Armani Museum. 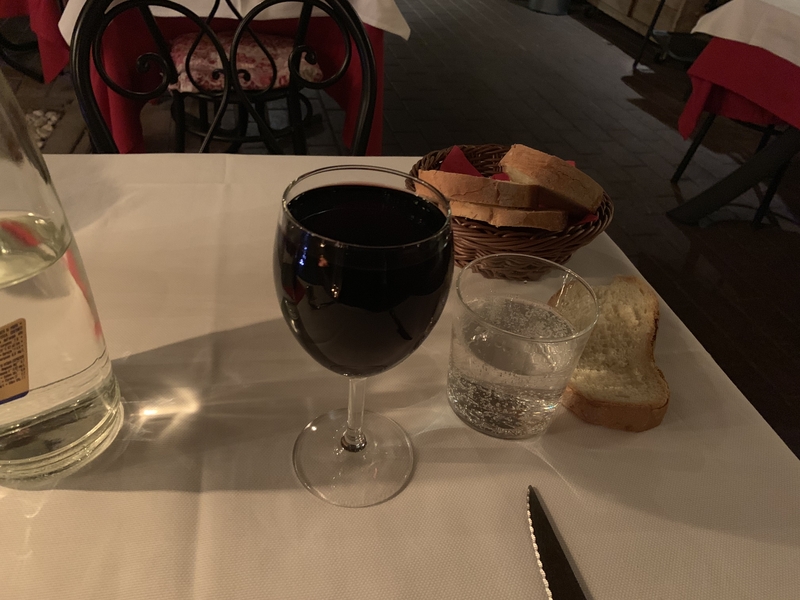 And on my first day of feeling fine, I went out for a meal that included some red sauce and a very full pour of wine. 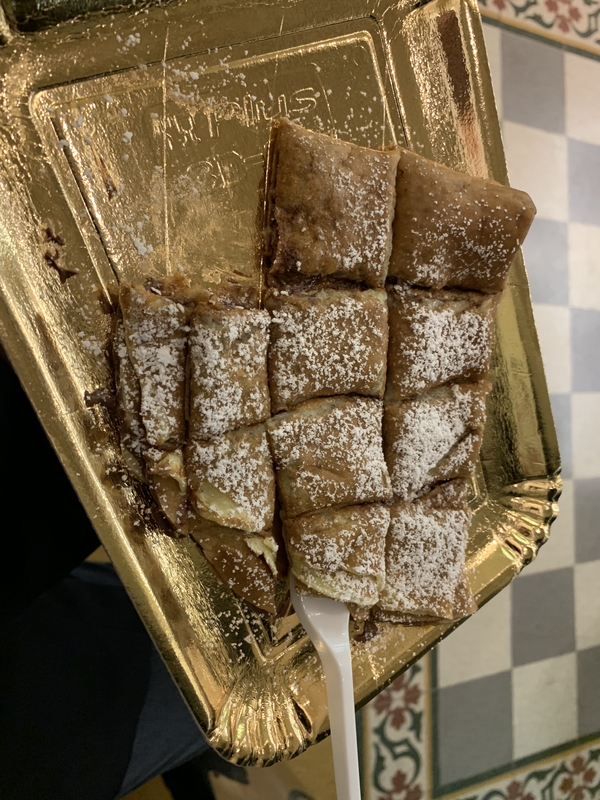 Followed by a craving for gelato, but the gelato place across the street also had crepes so I had one filled with Nutella (and then followed it up with a gelato). 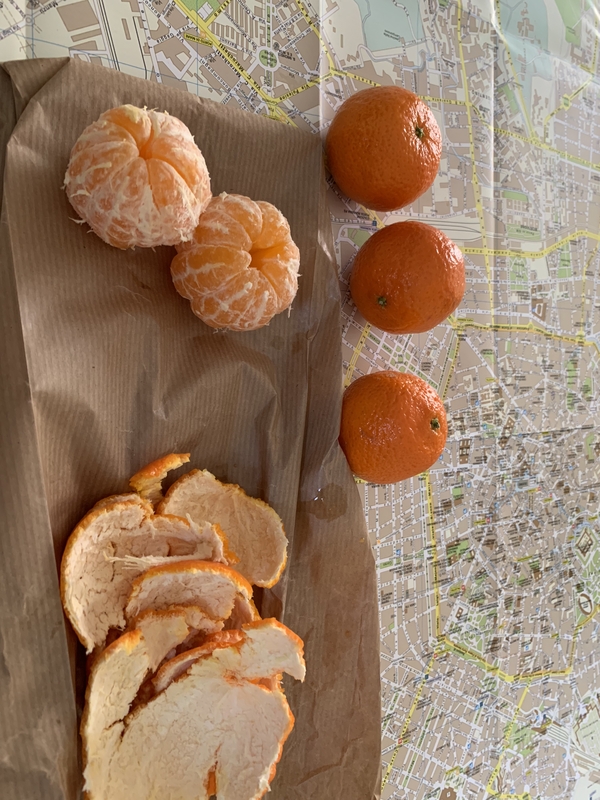 And I wish I could have brought home a case of these Sicilian clementines. They were so good. At home we rate all citrus on a 10-point scale with a five being just the tipping point from edible to delicious. These were all 9s and 10s. I will have more to say about this trip in the coming days. Stay tuned. George Bland is 65 and newly retired. He has lived his life cautiously, avoiding most emotional attachments. He has conscientiously but unambitiously worked his way over the decades into the comfort of the middle class. There is little indication that George is disappointed by his rather, um, bland, existence, but much of it did seem predicated on a rather specific light at the end of the tunnel. He and his friend/co-worker Michael Putnam have long planned to spend their retirement travelling extensively through the Far East making up for years of delayed gratification. When Putnam unexpectedly dies George finds himself alone, unmoored, and incapable of enjoying a trip to France let alone the Far East. George’s appetite for travel and adventure all but disappear with Putnam’s death. The most important relationship in his life has suddenly ended and he finds himself with nothing to fall back on. Aside from a network of friendly acquaintances, George’s only emotional connection is to Louise, a woman he dated so cautiously many years previously that she ended up marrying someone else and starting a family. 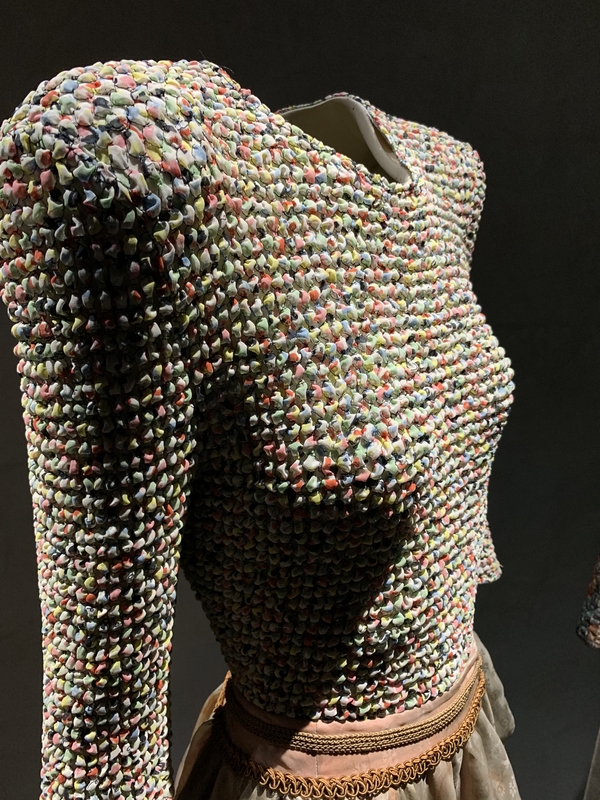 Over the years, and Louise’s widowhood, they have remained in touch and her weekly telephone calls and occasional visit are the only real human contact George has left. But even this rather overstates the case. He expects her calls and wouldn’t think of missing them, but one gets the sense that they are merely a weekly milestone for Bland rather than something that maintains a real connection. Into all of this steps Katy Gibbs, a youngish woman who convinces George to hand over the spare keys for his neighbor’s flat across the hall. She claims to be a friend and have permission to stay in their temporarily empty flat. It doesn’t take long for George to realize she is squatting and probably doesn’t have permission to be there, but by that time he is both too embarrassed and too enthralled to move her. He finds her off-putting and unlikable but finds himself uncontrollably drawn to her. Although he thinks about sexual conquest, this seems to be more of an impediment to fulfilling his interest in her rather than the point of it. George’s deep funk seems to be a swirl of grief over his good friend Michael and the sudden awareness of a lifetime of missed opportunities. Though it was only just past five-thirty he went back to the bedroom and lay down again on his bed. He knew that a lonely night of reflection awaited him, and he welcomed it. 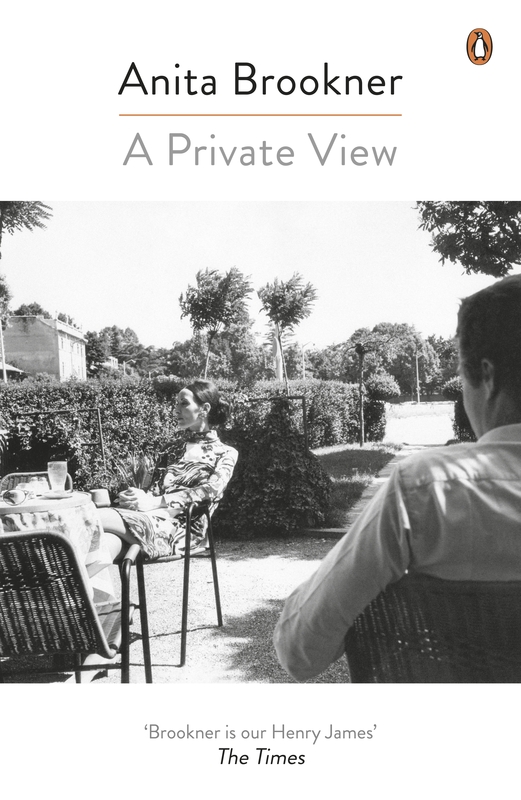 Whether George and Michael were lovers–I will take Brookner’s text at its word–is beside the point. George seems to never have rebelled a day in his life. Never pursued any sort of exceptional, or even noticeable status in any endeavor. He deliberately declined starting a family, and never seems to have had a mid-life crisis. He took small pleasures and kept his nose to the grindstone assuming that at the end of it all there would be some pay off in retirement. With those plans snatched away by Michael’s death, George ends up focusing his attention on Katy. Although he seems willing to throw away much for her, one gets the feeling that it really has nothing to do with her. It is perhaps when the inevitable break with Katy finally comes that the reader is given the sense that there might still be light at the end of the tunnel for George. A happy ending? Possibly. Over the past 30 years I have seen 100s of classical music concerts. With 65 different conductors, 38 different orchestras in 22 cities in 9 countries. And I have never experienced a more unprofessional conductor than Claus Peter Flor. When I went to hear the Orchestra Sinfonica di Milano Giuseppe Verdi last week in Milan I didn’t know anything about the orchestra. 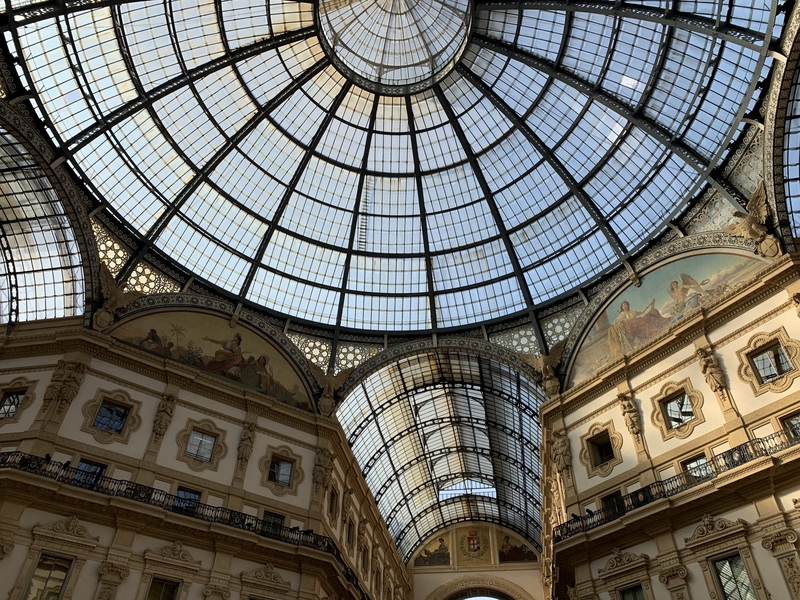 I was in Milan to practice Italian and to hear opera (more on that later). I didn’t know that La Verdi (as the orchestra is called locally) had only been founded in 1993 and that their first music director was Richard Chailly. All I knew was that I was looking for additional classical music options while I was in Milan and they were doing Elgar’s cello concerto and Prokofiev’s Suite from Romeo and Juliet. 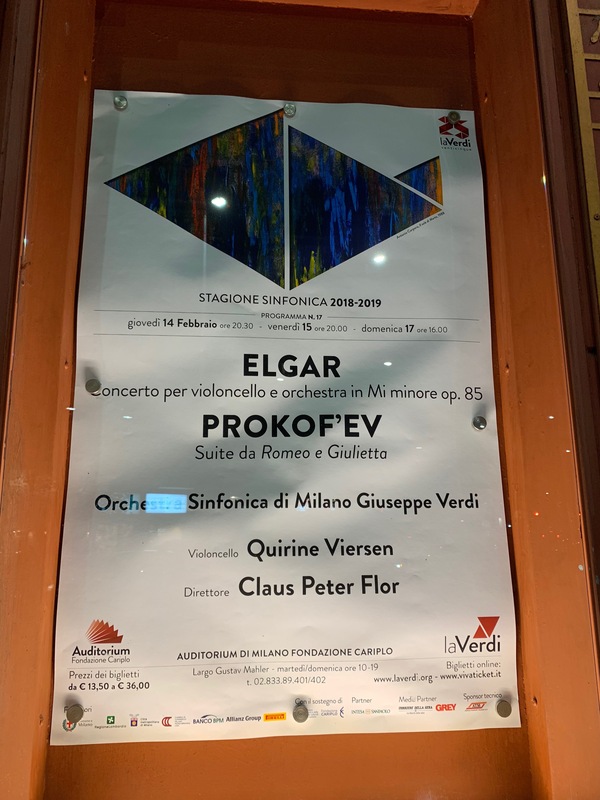 Although I had heard of conductor Claus Peter Flor I didn’t know anything about him and I didn’t know that he had been Principal Conductor of La Verdi nor that they named him to a three-year contract as music director. 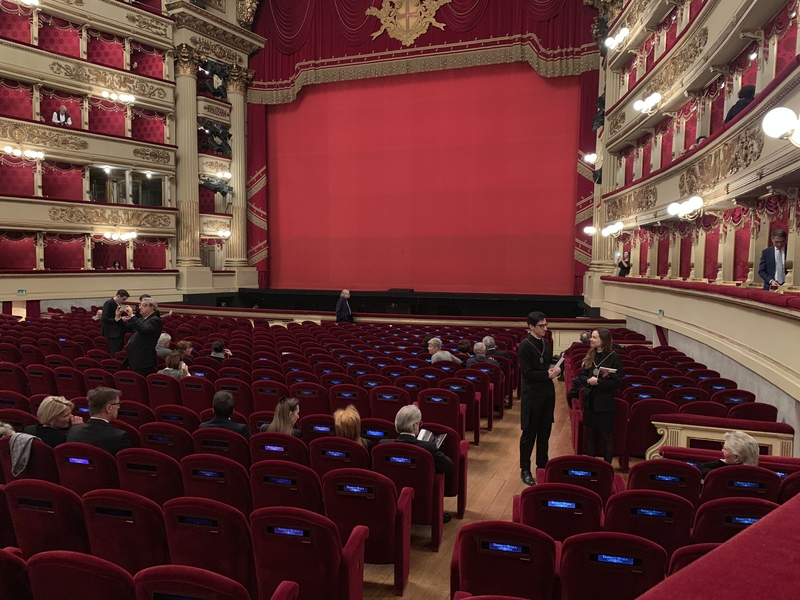 After a really substandard Bruckner concert the night before given by the orchestra of La Scala, I wasn’t sure what to expect. The Elgar was up first. The fact that I don’t recall the name of the soloist is indicative of her playing. It was beyond lackluster. I didn’t expect her to be Jacqueline du Pré, but I didn’t expect her to be so bland and timid. The principal cellist played with more feeling and fire in the Prokofiev than any note played by the Elgar soloist. Before I go any further, let me just say that I am not an expert. I love classical music but when it comes to the finer points of interpretation I’m not the person who is going to notice the types of things that a critic or professional musician is going to notice. I know what I like. I know what moves me. And I know, in general, the difference between bad, mediocre, good, and great playing. But even to an amateur, when the conductor looks over and gives the violins a half-surprised, half-angry face that is visible to someone sitting in row 14, you start to get the feeling that something is wrong. It was somewhere toward the end of the Elgar. I didn’t notice any sort of slip up so the only thing I thought was that Flor was unhappy with the section’s responsiveness. And perhaps I was reading too much into it, but when he left the podium, he rather forcefully moved one of the violin music stands away from his path. Things seemed a little odd, but nothing more. Then after the intermission, the Prokofiev. I’ve seen many a conductor jump around on the podium in an animated way, but I have never seen a conductor work so hard to get so little out of an orchestra. They were so non-responsive to Flor’s machinations that I began to think he was conducting from the wrong score. At first I thought he was hitting the baton on his stand by accident but then I began to have the feeling that he was trying to get their attention or to mark time or otherwise express displeasure. I started to feel like when I was a kid and a friend’s parents started to argue in front of me. It was uncomfortable. And then clear as a freaking bell–at least to me in row 14–Flor yells out “fortissimo!” I was gobsmacked. Sometimes when listening to a recording with headphones you can hear the conductor grunt and moan and occasionally hum, but a shouted fortissimo? And it seemed to go downhill from there. Although I couldn’t make out any other words, there were several more times in the piece where Flor called out instructions to the orchestra. Did he think this was an open rehearsal? It sure felt like an open rehearsal–with an angry conductor who doesn’t have the ability to get what he wants out of the orchestra so he takes to just yelling and stomping, and hitting the stand with his baton. It also seemed like the more he raged the more amused some of the players got. There were more than a few smirks and giggles on stage. As I mentioned, at that point I didn’t know he was the orchestra’s music director and I assumed he was a guest conductor pissed off over a lack of preparation. Perhaps his first time with the group and unhappy with the result. Maybe not enough time for rehearsal or jet lag or something. Now some might think that the orchestra is partially to blame for this situation. Perhaps. But all I know is that if a conductor isn’t able to lead the band and get them to play it his way, he shouldn’t throw an on-stage tantrum. It made him look ridiculous and made me (and perhaps others) uncomfortable. The piece itself, the barn burner that it is, was pretty enjoyable. I closed my eyes occasionally so I didn’t have to look at Flor, but his vocal gesticulations made that pretty useless. Thankfully La Verdi only hired Flor for three years. One and a half of which are over. It might be time for them find someone else. But seriously, what did you think of 2018? 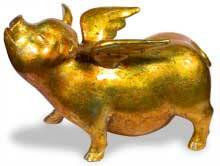 I like to have fun with my annual Hoggies. Although truth be told, I had been thinking that I wasn’t going to do them for 2018. I just wasn’t feeling like I had the creative juices to come up with anything amusing. But then someone out there said she was looking forward to them. So then it became a matter of giving the public what they want. Happily, as I started to contemplate what the awards would look like this year I got inspired and enjoyed doing them after all. So now that I have done them three years in a row, I guess they are now a tradition that must be kept up. It did occur to me, however, that the awards were much less substantive this year because I didn’t really have many blog posts to refer back to for those books that won awards. So now that the accolades for the Hoggies have died down, I decided I might reflect for a second or two on the books that really blew me away this year. There were quite a few books that I really enjoyed in 2018 that I wanted to put on this list, but as I started narrowing down the possibilities I realized there was a much smaller set of favorites that really transcended mere enjoyment. Books that packed an emotional wallop that was hard to ignore. The oddest part about this very short list (only four out of 126), is that they are all by men. This is fairly unusual for me. Also unusual is their subject matter is decidedly not the type of thing I would normally go for. And there is a lot of bleak here. Devastating but beautiful. If you want to see how an author can write an American epic in only 116 pages, you need to check out Train Dreams. I had never heard of Denis Johnson until one of the attendees at The Readers Retreat talked to me about how much she liked him. When I went looking for a book by him, the only one available was Train Dreams. So I took a chance on it. A story about an adult orphan in prohibition-era Idaho. It has so much devastation and beauty in such a small package. When you read something this short and this good, it really makes you wonder what all those other authors are doing wasting your time with endless pages of prose. I had read two or three of Stegner’s better known works, but this one was completely new to me. It’s a story about retired man in 1960s northern California in a battle with a young squatter who has created an impromptu commune on his land. I enjoyed this for its development of the setting and the characters and how completely intertwined they both are. It’s full of quiet moments that are tender, devastating, and beautiful. It’s also not short of high drama that is equally devastating. I am not a fan of Westerns, but when a book is well written, it often doesn’t matter what its setting is or what genre it belongs to. 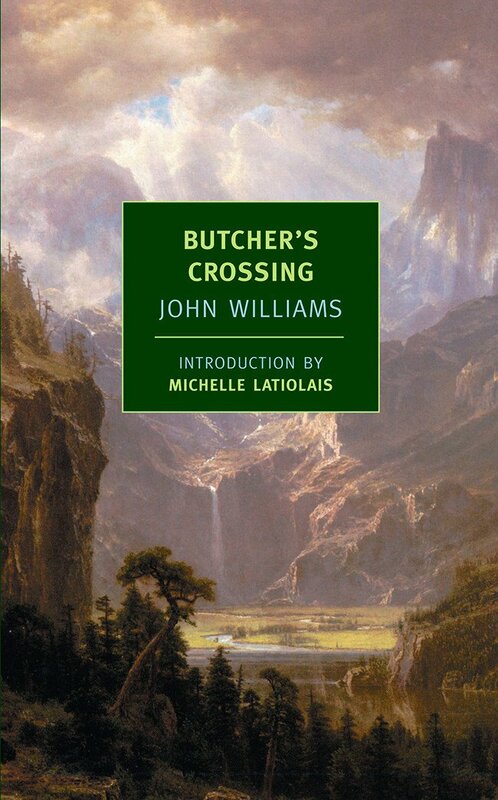 I was (and am) indeed a fan of John Williams’ wonderful academic novel Stoner, but I must say, Butcher’s Crossing is a far better book. It’s the story of a Will Andrews, a Harvard student who heads out west to join a buffalo hunt at a time when pretty much all the big herds have been decimated by the buffalo trade. He runs into one hunter, however, who talks about a herd he is convinced still exists in a remote mountain valley. I won’t say anything more about the plot except that Will does go on a hunt. It’s all pretty breathtaking. If this hasn’t convinced you to read this one, you can see more detail here. It’s one of the few books I actually wrote about on Hogglestock in 2018. If Catch-22 wasn’t a horribly tedious, boring, overly long, one-note, overly satirical look at the stupidity of war, it could have been half as good as The Hunters. 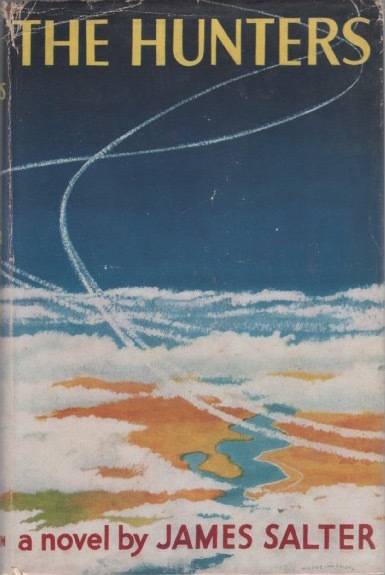 Published in 1956, the novel is about an ace fighter pilot who has less than an ace time when he is deployed to Korea. I loved everything about this book. I loved the period detail. I loved the plot and character development as the well regarded pilot has trouble maintaining his reputation and starts to see the whole situation differently. It kind of takes testosterone and turns it on its head. Perhaps in an even more stunning turn, it was revealed that two authors received telegrams ahead of the telecast that their work would no longer be considered by the Academy. Thomas Otto, president of the Academy explained “After giving Agatha Christie and Margery Allingham yet another try, the Academy decided it finds their work tedious beyond redemption.” When asked if the Academy was singling out female authors in this category given that Freeman Wills Crofts received an award for The 12:30 from Croydon, Otto looked visibly annoyed. “Look, if John Dickson Carr or Edmund Crispin submit something I can pretty much guarantee they will get the same telegram. And don’t forget the lifetime ban the Academy has placed on Colm Tóibín after this year’s reading of The Blackship Lighthouse. Now there’s some pointless fiction that will put you to sleep.” Otto was silent about Jospehine Tey whose Brat Farrar found some favor with the Academy this year. The Academy was also under attack for the overall dearth of female authors this year. A spokesperson pointed to the Academy’s completion of A Century of Books and its focus on whittling down its to-be-read pile which turned out to be be surprisingly androcentric. The spokesperson noted that the completion of ACOB and very little in the way of challenges for 2019 promises a much better gender balance in the coming year. Not only a charming book, but charmingly read by the author with actual trumpet sounds for Louis’ voice. A charming book about old Chicago purchased solely for its cover.